After 9 months, I finally got in a game of CoC at the Hobby Bunker. I had played 3 games previously games in a Soviet campaign but that went dead before we finished the campaign with our last game in January. I had started painting platoons as well as gathering terrain for both a Normandy and Winter War campaigns. My real challenge was that I started my project in 20mm or 1/72 and most local gamers have 15mm FOW armies or 28mm Bolt Action armies. I had already painted a German and British platoon by the time I realised this so it was a little too late. I do really like 20mm for WWII though as I find the 28mm AFV's way too big for a 6x4 terrain (it is almost impossible to transport anything bigger especially if it involves bocage) and with 15 mm I just find it too hard to identify the individual weapons that the soldiers are carrying as is necessary in skirmish wargaming. The price and availability of options in 20 mm is also excellent. You can easily assemble a platoon and basic supports for one force for less then $50 especially if you use the excellent Plastic Soldier Company soldiers and vehicles. I have now painted 3 forces with excellent range of supports and am half way through my fourth, so I do not think I am going to change. One of the guys Mike, who I met while playing the Soviet campaign voiced an interest in continuing to play CoC so I loaded up the toys this past Saturday and headed to Malden. Mike is quite an easy going fellow and has a lot of wargaming experience, so I find him a well suited player for me. I am much more interested in playing the game rather then winning, now if I only can talk him into painting a 20mm American force! I am hoping to put together a Normandy campaign surrounding Operation Tonga in which the 1st Canadian Airborne Battalion played a large role. Saturday's game was really to test my terrain and reacquaint myself with the CoC rules. The terrain set up was roughly historical and involved a farm southwest of the LZ-V of the Canadian paratroopers and east of Le Mesnil Crossroads, one of the important objectives early in Operation Tonga. So the terrain was set up as you can see, based on scenario 6 from the CoC rulebook with the farm as the German area and the canadian paratroopers arriving from the right in the below photo. Essentially the Canadian forces had orders to take the large barn inside the walled compound.We diced for sides and I won and of course took the Canadians. In CoC the paratroopers are an elite force with a rating of 8 and start with 6 Command Dice. Their opponents were basic German grenadiers with a rating of 0 and 5 Command Dice. The attackers have a support of 2D6 in this scenario with the defenders having half that. The defenders set up in a heavily fortified farm with high walls (block LOS and heavy cover) which are classed as a major obstacle. The terrain to the east is heavy with bocage and forests. Just east to the farm are several fields of crops, these are all broken ground and all have normal LOS except for the one cornfield which has light cover. One building was two story and offered an excellent LOS towards the east. So any way, I diced a 10 on 2D6 so I had 10 supports and Mike got 13 supports (5 + 8, the Force Rating difference). We also diced for Force Morale and I ended up with 11 and Mike had 10, both excellent. We kept our choice of supports secret but I took a HMG (4) and a Sherman tank (6). Mike from what I found out took a 8cm Mortar (4), a PanGr squad (5), 2 entrenchments (2) and some barbed wire (1). I am am not sure what he spent his last support on. We were a little rusty with the rules but the game went relatively smoothly. We had never played with off table mortars before nor had we had HE fire on buildings, so a couple of new concepts to figure out. The patrol phase I thought went well, with myself advancing my JOP's half way up the terrain, but Mike locked me down before I could get beyond the bocage line. By then I was so into the game I forgot to take photos but I have marked on the photos as best as I can remember the JOP's for each side, I had 3 and Mike had 4 with one in the objective, the large barn. I advanced my paratroopers quickly and brought on my HMG and Sherman relatively quickly, Mike kept most of his troops in reserve for both tactical reasons but also because my Command Dice (CD) were pretty hot. I think I had 4 double 6's in the game and a quadruple 6 and Mike I believe had only 1 double 6. Mike's mortar barrage was quite effective and kept one of my sections pinned for most of the game. I was however eventually able to take out his Forward Observer with a well placed high explosive shot from the Sherman. As I forgot to take many photos I will not go into the details of battle, but it really was one of attrition with my forces causing the Germans to withdraw from a failure of morale. There was one heroic combat with a section of paratroopers attacking across the high stone wall a squad of grenadiers, I won the combat by one with both sides taking heavy loses. Of course once my chaps got across the wall Mike dropped in a squad of Panzer Grenadiers who immediately opened up with their two LMG's and destroyed the section. Neither myself or Mike played that aggressively, I think were both focussed on relearning the rules and maybe allowed the game to draw out a little. We only got in two turns and neither of us accumulated a Chain of Command Dice. We made a few errors, mostly omissions but generally the game went very smoothly and seemed to play out in a realistic fashion. I believe we both enjoyed playing and am feel that we will both play many more games. The Sherman from the Trois Rivieres Tank Régiment and Airborne HMG team. Leaders and Forward Observers: I still am having problems with testing for injury or death to Leaders attached to groups who suffer casualties. Today we just left the JL as the last man standing. We also treated the FO as a team rather then a leader. After reviewing the rules, it appears that JL are at risk for injury or death every time there is a kill and that a FO is treated in the same way as a JL. On page 39 (9.1.1). If a JL/FO is without 4" they can be specifically targeted, but only kills are taken into account. If within 4" then test for injury or kill on JL/FO if any kills on unit. Roll 1D6 if </= then kills then hit on JL/FO (good to roll high). If he is hit roll 1D6, on a 1 he is killed, on a 2 or 3 he is out of action for the turn. On a 4,5 or 6 he is lighted wounded and his Command Initiative (CI) falls by 1, so a JL now would have a CI of 1 rather then 2. The second time he is lightly wounded, he is out of the game. For a FO a roll of 1,2 or 3 is a kill, on a 4, 5,6 he is wounded and can not move for the rest of the game but can still initiate bombardment. Hits on Teams: Hits are divided between teams that are within 4" of each other. If unequal and if in cover the defender allocates the hits to the team of his choice, if not in cover then the attacker allocates the odd hit. The attacker throws the dice for the Hits and the defender throws the dice for the saves. Bombardment: I think Mike did a great job on this for our first go. It is a little complicated as the FO can call for bombardment or ranging shot. Essentially on the first activation (CD roll of 1) of the FO team nothing happens, on the second activation a marker is placed on the table. A 2D6 roll is performed and the result from Table 9 is applied. A ranging shot only has effect if it was aimed at a specific unit and scores >8 on 2D6. If there is a direct hit roll 2D6 and apply Table 6 for measurement of kills and shock, you do not use the Table 5 to measure hits. If it was a barrage and on target then the effect is over 18 sqin. Here you check the Master Arsenal Table for the number of D6, medium mortars are 4D6. For every team within 18" throw 4D6 and apply Table 5 (effective range, unless in woods or orchards then close range) for hits and then test for kills and shock for successful hits on Table 6 while reducing cover by one. All troops are pinned in the 18sqin area for the rest of the turn. What we did not do is place smoke over the area for the rest of the barrage as LOS is blocked into the area while the barrage continues (time to make more smoke markers). If the ranging shot or barrage is off target, you still go through the above process but on an area as decided in Table 9. Essentially get a roll of 2 on your first throw you are going to end up deviating 6D6 from the marker. 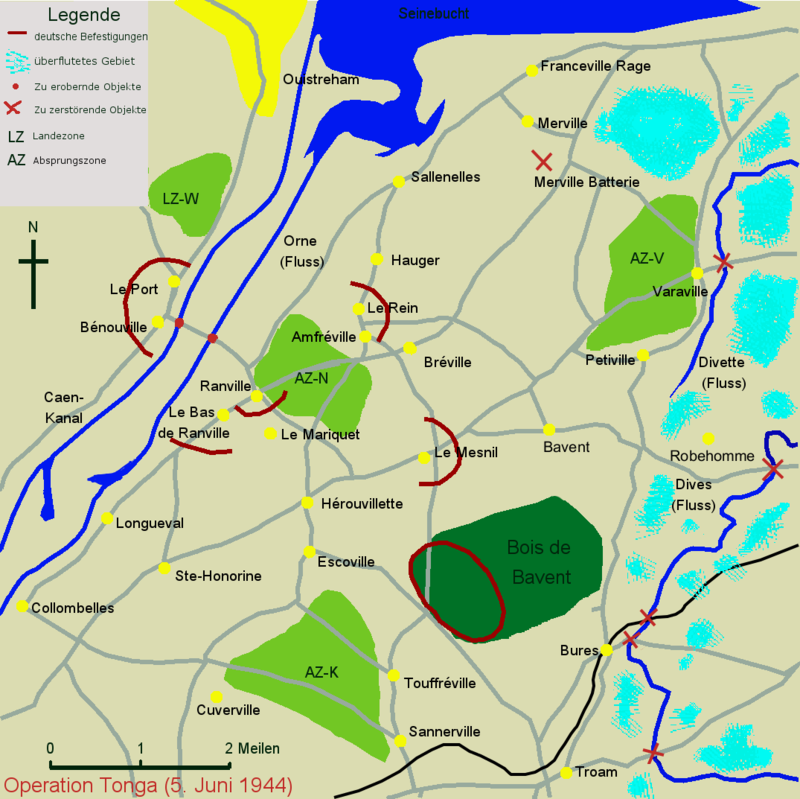 On the 3rd and subsequent activations the barrage can continue with the option of shifting the aiming point 6". If a ranging shot was fired initially you can call for another ranging shot but add +1 to the die roll for each subsequent ranging shot. The barrage continues through the phase and on each subsequent activation in the turn, but the smoke is removed at the end of the following phase. The barrage ends at the turn end unless a Chain of Command Dice is used. To activate a barrage in a following turn a D6 is thrown, on a 1 the mortars are lost for the rest of the game, on a 2 they are lost for the rest of the turn, on a 3 or 4 an attempt can be made in the next phase and on a 5 or 6 it is immediately available. HE against Buildings: This went well for the troops but we forgot to test for building damage (10.3.6). The Sherman has 6HE, so throwing a triple 6 would cause instability, causing troops to have to evacuate on their next activation, failure to activate by turn end would result in a D6 being rolled for each with 6's resulting in a kill. On a throw of a quadruple 6, then the building collapses, each man inside rolls a D6, on 5 or 6 they are killed and the survivors are placed outside. I actually do not think this happened in yesterdays game, but something to remember. Tank Turrets: Again this did not arise in yesterdays game, but a turret has an LOS of 120 degrees and a hull mounted HMG has 90 degrees. This is modified by the tank turret speed (some are slow and some are fast), our Sherman has a regular speed. A full activation to the gunner is required to rotate the turret to gain the appropriate LOS. Attributes of Individual Troop types: I was running an elite paratroop unit. I missed that JL's in paratroop sections can activate on a 4 as well as a 3 and have 3 CI's on an activation with a CD of 4. They are aggressive troops, ie. in combat they ignore a loss by one and continue to fight. Targeting in Buildings: In the advanced rule section on page 70, there are some rules for targeting troops in buildings, I like these and think they would have been good to use in our game. To target troops in a building either the attacker would have had to have a clear LOS when the target moved into a building or be within 18". Otherwise they would only be targeted when fire came from the building. The 18" rule does not hold for Vehicles targeting buildings, either they would have to see fire or a SL/JL would have to be within LOS on entry and then move to contact the Vehicle by touch to let them know. I would regard coming off a JOP as entry into a building. Anyway I am sure I still have many things to learn from the rules, but yesterdays game was a great learning experience and a lot of fun, I can not wait for our next game. Good write-up, and good luck with a new 20mm recruit! It wrote back and told me that he will be getting some 20 mm Americans. Nice report, the mat and terrain look good. Figures too for that matter. Is the terrain 28mm scale? Although they don't look out of place the buildings look like they might be larger than 1/72 (20mm). The building and figures are all 1/72 (figures from PSC and building from 4-Ground). The mat itself is probably 28 mm in texture. The bocage was made by myself. The tree stands are nominally 28 mm, but who can tell with trees.